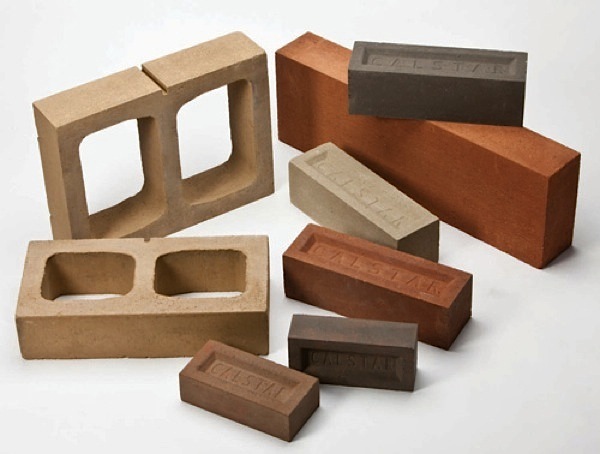 CalStar Products makes brick with a proprietary manufacturing process and a binder of fly ash. By using fly ash, the company diverts waste from the landfill (37% recycled content) and eliminates energy-intensive firing — these bricks are cured overnight at temperatures below 200° F, according to CalStar. To give the market comfort with their sustainability claims, CalStar obtained a lifecycle analysis (LCA) from Perkins + Will and published the results in an Environmental Product Declaration (EPD).